The Manfrotto 300N Panoramic Rotation Unit (above left), and mounted below my Manfrotto 410 Junior Geared Head (above right). 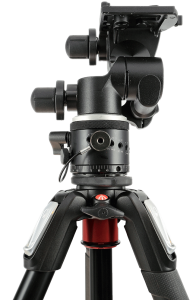 Although the unit is not absolutely necessary to create distant panoramic images successfully, it certainly makes creating them much easier and more accurate than either hand holding your camera or using a non panoramic tripod head to do the job. The unit itself is of very high quality and looks and feels to be much more expensive than it currently sells for; it weighs around 1.3 lbs and has 10 click-stop screw holes that are used to determine the angle of rotation in degrees for each click-stop, which of course is all dependent on lens focal length used and the type of panoramic image you wish to create. As you can see in the image, the click-stop selector screw is attached to a cable to prevent loss of the screw. 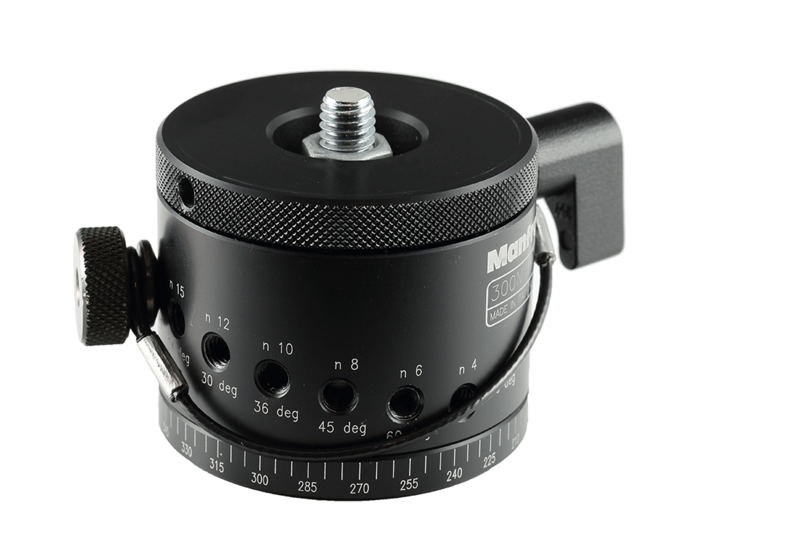 There is also a lever which lets you rotate the top of the 300N unit independently which is useful for recomposing an image when you have the set screw locked in position. The 300N unit is actually quite straightforward and simple to use and not in the least complex as it may first look, it can either be attached directly to a camera without the need of a tripod head or with a Manfrotto plate adaptor via the 3/8 screw. I use the 300N unit paired with my Manfrotto 410 Junior Geared Head mounted to the 190XPRO3 tripod, which is a perfect combo for creating either horizontal or vertical panoramic landscape images. Another Forth Railway bridge photograph, this one is a 4 shot panoramo using my 70-200mm f4.0 L @ 98mm in landscape orientation. For this image I decided to just use 3 of the 4 frames, ommiting the first.